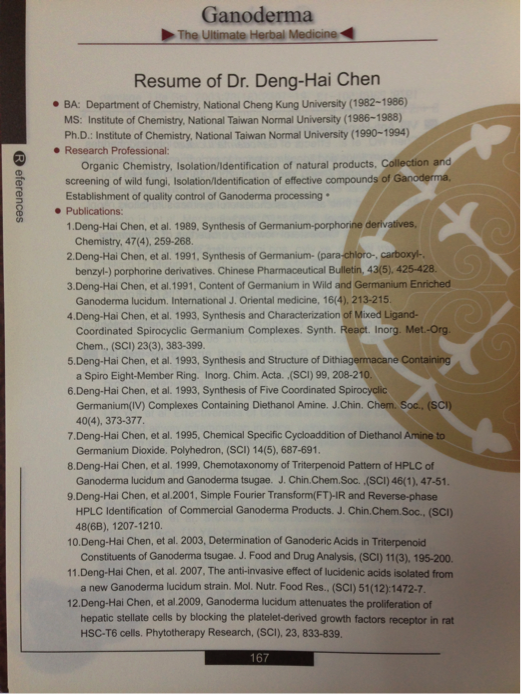 Dr Deng-Hai Chen is a highly qualified doctor in the area of Lingzhi / Ganoderma research as he holds a Master degree and PhD degree in Organic Chemistry. He also holds many positions, including Vice President of the Department of Bio-tech and Medical Development, General Manager of Biotechnology Park and Director of Microbiological Research Foundation. 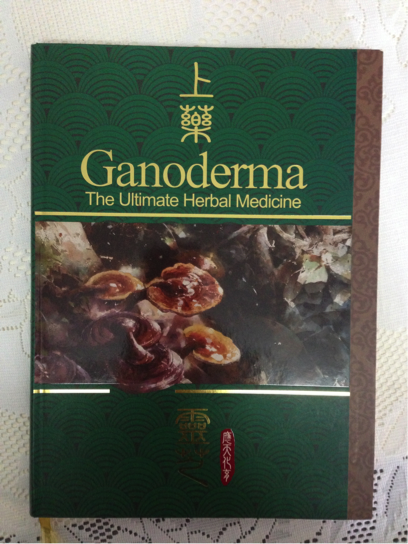 He has also published many research reports, including this book called "Ganoderma: The Ultimate Herbal Medicine". In Dr Chen's presentation in September 2014, he spoke at length on various aspects relating to Lingzhi. Below I share some of his key points. Shen Nong Ben Cao Jing (Shen Nong Herbal Classic) is a book on agriculture and medicinal plants produced 2,000-3,000 years ago. It described Lingzhi as Non-Toxic. Scientific data also shows that Lingzhi is safer than normal edible mushrooms. A Japanese research team fed lab mice with different kinds of mushrooms, including Lingzhi. After 3 years of feeding, the mice were sacrificed, and their organs were inspected. The research team found that bitter mushrooms are safer than tasty mushrooms. Shuang Hor has also done a test to feed mice with high dosage of Lingzhi extract. The extract is equivalent to a human being consuming up to 8 bottles of Yung Kien Ganoderma a day, every day, for 3 years. The results again show it is very safe to do so. Further, over the past 26 years, over one million people have safely consumed and used Shuang Hor products, without any side effects. 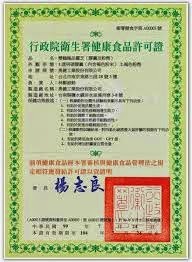 To-date, Shuang Hor's Lingzhi has attained the most number of healthfood certifications from Taiwan's Ministry of Health. The certificates are for Immune Modulation, Liver Protection, Delaying Ageing and Alleviation of Allergic Symptoms. Without these certificates, products that are claimed to be 'healthfood' are illegal. The manufacturers can be fined up to NTD2 million or face a 3-year jail term. Shuang Hor's Lingzhi has obtained Taiwan's FDA guarantee for safety and efficacy. The 2 major effective components of Lingzhi are Triterpenoids and Polysaccharides. These components have different functional pathways. Triterponoids act like a weapon - it directly kills the pathogens eg. cancer cells and viruses. Polysaccharides get into our digestive system, which contains a lot of immune cells. Polysaccharides is able to boost the activity of these immune cells i.e. it acts indirectly, by waking up our immune system to do the job. The major component in Triterpenoids is Ganoderic Acids (more than 200 kinds have been isolated) while the most famous component in Polysaccharides is Beta-glucans. Triterpenoid is very unique because it is not found in other mushrooms. It can only be found in Lingzhi. So it can be used as a 'fingerprint' for Lingzhi. It has small molecule size (400-800). When it is digested, it enters into our blood vessels i.e. ganoderic acids can be detected in the blood of people who take Lingzhi. It can be easily identified. It has more functions than polysaccharides. As such, it has the most potential for new drugs development. Shuang Hor is currently the most qualified enterprise to undertake this development. There is a research done by the cooperation of 3 universities in Taiwan, by scientists specialising in food science, medical science and sports science. The findings is published in the journal Molecules 2013, 18(2), 1741-1754. The article is called "Ganoderma Tsugae Hepatoprotection against Exhaustive Exercise-Induced Liver Injury in Rats". The result shows that Lingzhi can protect liver from injury induced by exhaustive exercise. In this experiment, rats are made to run on treadmill. The rats are divided into control group and those administered with low, medium and high dose of Lingzhi before the run. The Lingzhi used is Shuang Hor's Yung Kien Ganoderma. The high dose corresponds to 4 bottles of Yung Kien Ganoderma for human consumption. The reason why such a high dose is used is, in addition to testing for Effectiveness of Lingzhi for liver protection, the scientists also want to test for Safety level. Whenever the rats stop running, they are given an electric shock to force them to continue running. They are given up to 5 electric shocks, until they are finally exhausted. Control group - running time is 60 minutes. Lingzhi group - running time is 80-90 minutes. The higher the dosage, the longer is the running time. Rats fed with Lingzhi show no signs of liver damage after undergoing exhaustive exercise - the liver is protected by Lingzhi. 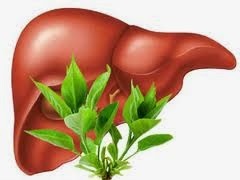 Athletes who train a lot or people who become overly exhausted will damage their liver and kidney. If they don't get sufficient rest, they can die. But if they take Lingzhi, their liver will not be so easily damaged. For marathon runners, high dose of Lingzhi can help them get better results, and they will feel less tired. Pharmaceutical Kinetic of Ganoderic Acid-A in Human Subjects (Double-blind) - How often should one take Lingzhi in a day? Is there a difference if you consume Lingzhi every hour or only once a day? This is an experiment published by the Chiang Mai University. Human subjects are fed with Lingzhi every hour. The scientists analyse their blood every hour to find if there's any effective components such as Ganoderic Acid-A (GA-A) present in the blood. The answer is Yes. When we take Lingzhi, our blood will have the effective components, including GA-A. The findings show that if the subjects take Lingzhi before meals, the effective components will be absorbed much faster. The GA-A reaches maximum concentration in plasma after 35 minutes. There's a higher ratio of GA-A after 35 mins in the blood. One hour later, the concentration drops to half. Because of that, if more concentration is needed, another dose needs to be supplied. Hence according to this scientific data, supplying another dose after 1 hour is reasonable. It was found that after 12 hours, no more GA-A exists. There was no more effective components in the blood. Hence if needed, make sure that another dose is supplied within 12 hours duration. If your kidney no longer works, you will need dialysis. It is a blood-cleansing procedure that replaces the kidney function. Usually patients who are on dialysis will have to be on dialysis for the rest of their lives. However, it is found that some people who take Lingzhi are able to return their kidney function back to normal. Dr Chen conducted a test in his Bio-medical Institute in Taiwan using mice to find what is the real component that saves the kidney. The test is done using the FMT (Fluorescent Molecular Tomography) machine, a high resolution MRI for animals. Ganoderic acid is found to be the effective component. In the experiment, some chemical is used to induce kidney inflammation. The mice are then divided into control group and those fed with medium (300 mg/dL) and high dose (500 mg/dL) Lingzhi. 5 days later, the FMT images of their kidneys were taken. The deeper the color indicates the greater the inflammation. The images of mice that don't take Lingzhi show very deep color. The images prove that mice fed with higher dose of Lingzhi show a lightening of the color i.e. a lower level of protein urea (abnormal amount of protein present in the urine) - 300 mg/dL for medium dose and 100 mg/dL for high dose. In other words, mice that take high dose Lingzhi can protect their kidney from inflammation and damage. 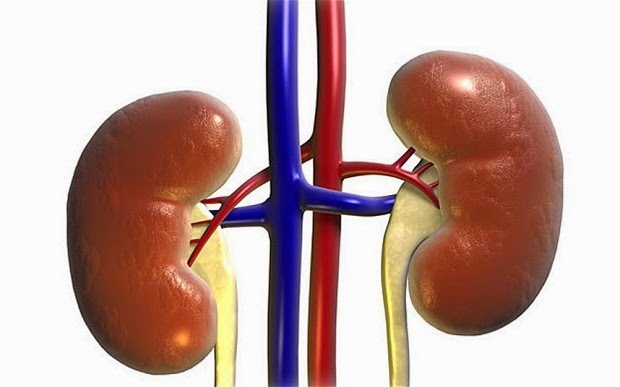 This is the first proof that Ganoderic acid is able to protect the kidney from dialysis. So for people who just start to undergo dialysis, it's possible to use high dose Lingzhi to prevent them from going through long-term dialysis. Lingzhi is also very helpful to protect our heart. This is the first evidence that will prove it. Dr Mo was a uni-mate of Dr Chen and they graduated from National Cheng Kung University together. He then went to work in the University of Illinois before returning to Taiwan in 2005. He specialises in cardiology. When Dr Mo was looking for some research he can do on what protects the heart, Dr Chen suggested Lingzhi. He was not interested. But about 4 years ago, when he came across a research paper on heart protection, he was reminded of the Lingzhi Dr Chen gave him. He used the sample and found that Lingzhi can indeed protect the heart. He wrote the Paper and submitted it to the Microbiological Research Foundation. Dr Mo used a myocardial injury model by challenging the mice with Isoproterenol i.e. injecting the mice with a chemical that causes their hearts to beat very quickly, which eventually damages the heart. 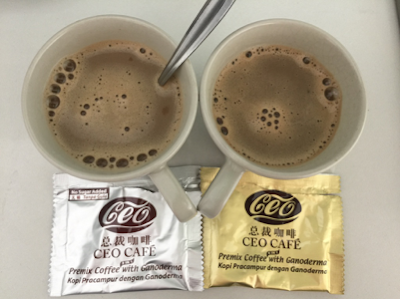 After that, he administered the mice with Ganoderic Acid-A (GA-A), isolated from Yung Kien Ganoderma. He found that GA-A is the effective component to protect our heart. The images show that the hearts of the control group mice are purplish in color, i.e. there's presence of damaged tissues and some cells are dead. For the Lingzhi group - there is no purple area meaning no tissues are injured/dead. In other words, GA-A is able to protect the heart cells. His finding is published in Molecular Nutrition & Food Research 2013, 57(10), p.1892-1896. The article is titled "The triterpenoids of Ganoderma Tsugae prevent stress-induced myocardial injury in mice". GA-A is also found to be able to prevent damage from Ractoamine, which is a feed additive to promote leanness in animals raised for their meat. It is banned in many countries (but still used in America at this point) due to its suspected health effects, including damage to our heart. In a test, Ractoamine is used to induce damage in the heart cells of mice. When the mice that are administered with Ractoamine are also fed with Lingzhi, it was found that the cell damage level is lower. In other words, if you take a lot of American beef, you should consider taking Lingzhi as it can protect heart cells from Ractoamine damage. As you can see from above, there are many new findings on the capability of Lingzhi to protect our essential body organs, including our liver, kidney and heart. 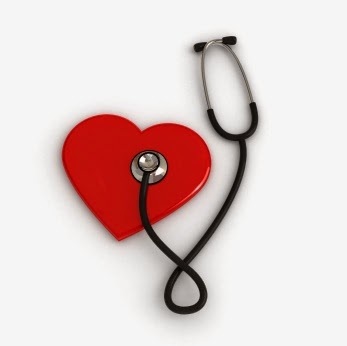 The wisest way to take care of your Health is Prevention, not Treatment. So start taking Lingzhi when you're young and healthy. Don't wait until you're diagnosed with a disease. By that time, it will cost a lot, or worse, it may be too late. Email askfuiping@gmail.com to buy Shuang Hor Lingzhi to protect your liver, kidney and heart. Click here to refer to Shuang Hor company website for Product Description and Price.